This black and white photograph shows three men shaping pieces of limestone for the construction of the capitol in Topeka, Kansas. In the background sections of the stone are waiting to be assembled into columns. 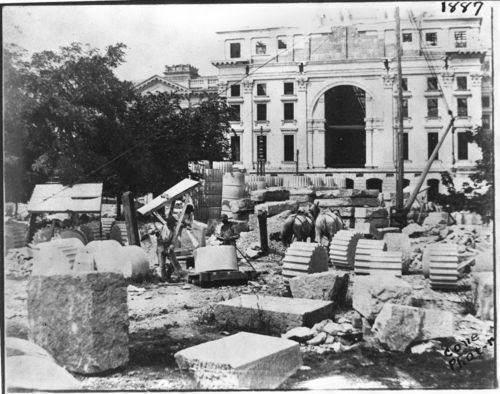 Work began on the capitol October 17, 1866 when the first cornerstone was laid for the east wing. Thirty-seven years later the statehouse was completed at a total cost of $3,200,588.92.